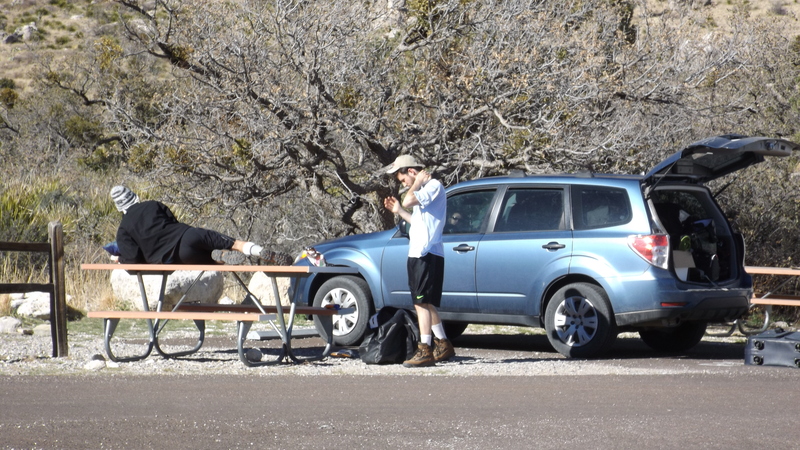 Two days of cold and blustery wind felt like enough punishment, so we headed north for better weather and a National Park we had not heard of until we spotted it on Rand McNally’s Road Atlas. From Marfa we were only 140 miles away, and when you’re that close to a National Park, you just have to go. 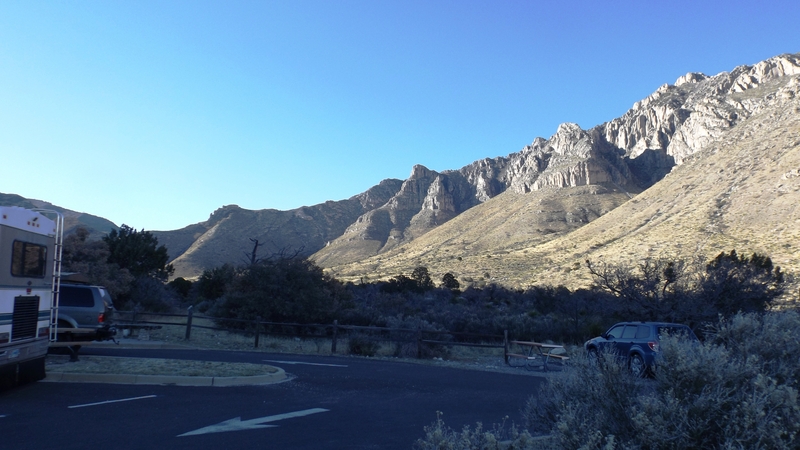 We followed the Texas Mountain Highway from Marfa all the way to the Guadalupe Mountains NP. 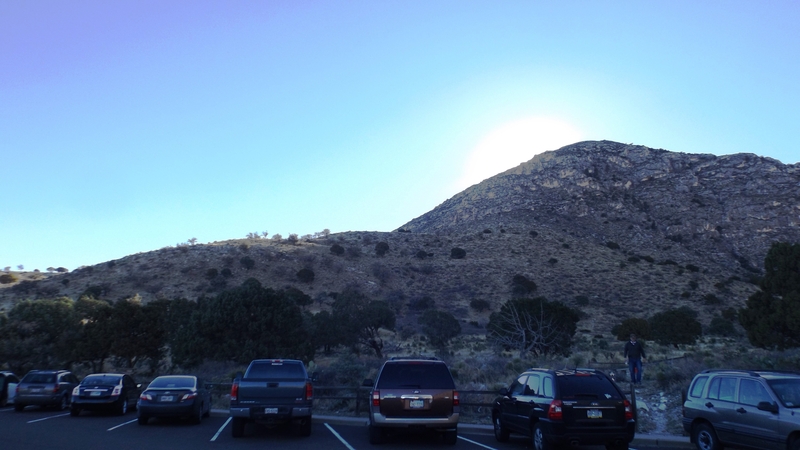 Our last day in Marfa marked our discovery of public radio in the mountains of west Texas: KRTS has transmitters in Alpine, Marathon, and Marfa. You never know what to expect on NPR, especially from tiny audience stations like this one. The night before we left they played rock classics, the high point being consecutive performances of Space Oddity (I always thought its title was Major Tom) in English, and then in Russian. The next day we saddled up and headed for the mountains, The Classics Granny was spinning her favorite stuff. I was treated to Mozart’s Piano Concerto #10 for Two Pianos, followed by Von Weber’s Clarinet Quintet, then Mozart’s Piano Concerto #14 (the Murray Perahia version, no less), and most of the Hummel Concerto for Bassoon. 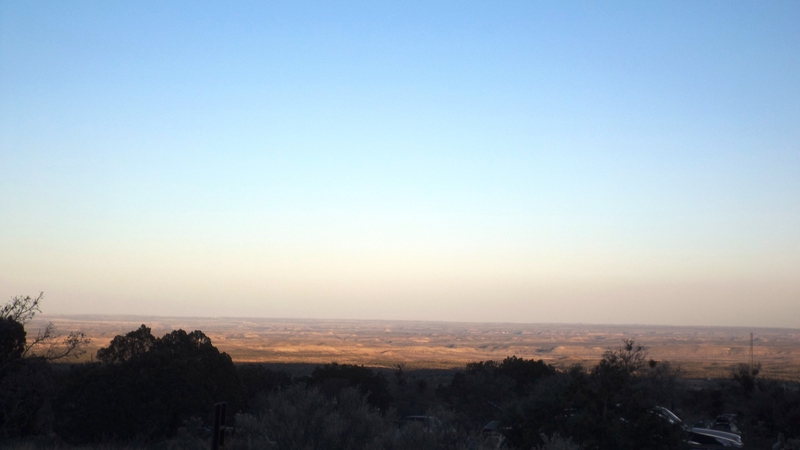 How can a little transmitter in Marfa supply us with sublime sounds for 120 miles? Well, it was a very clear day. And on top of that, Pink’s tranquilizers worked effectively, making this drive what Kat and I always hope for, but seldom get. They Call This a Campground? There’s nothing to do there but hike if you have the knees to climb two to four miles, and then come back down on them. We didn’t go. 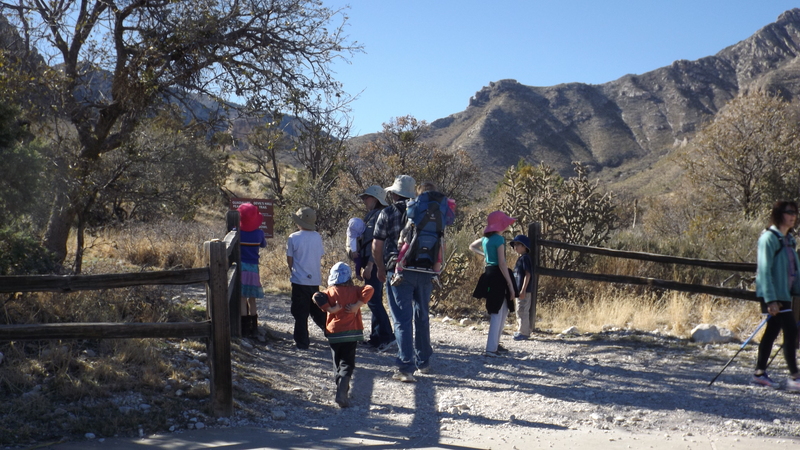 Unless you’re a serious backpacker, you don’t need to go to the Guadalupe Mountains either. 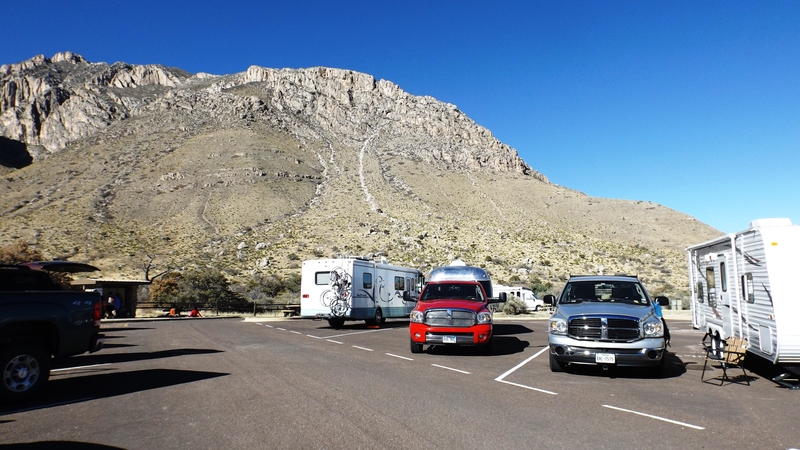 If you haven’t seen Carlsbad Caverns, go there instead. Trail’s End, and Am I Really Out of Beer?